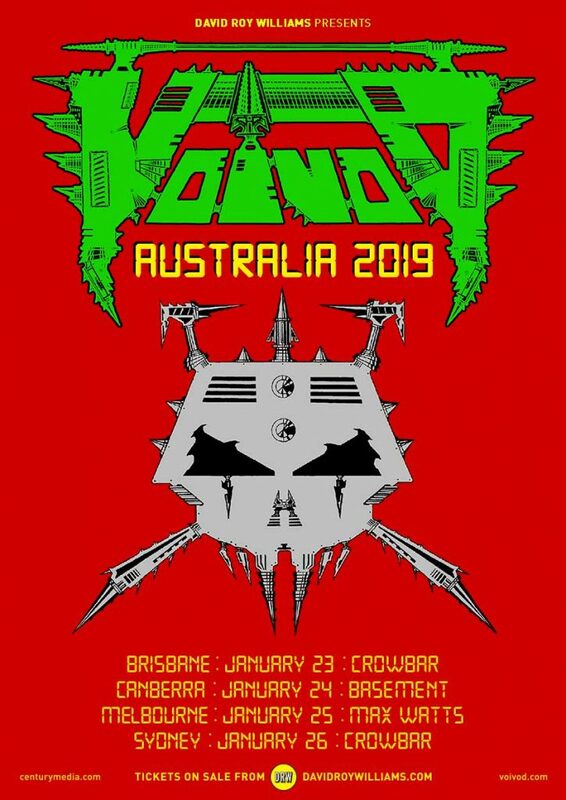 Interview: Michel ‘Away’ Langevin of VOIVOD talks Oz Tour and more! 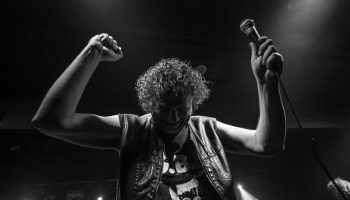 – Spotlight Report "The Best Entertainment Website in Oz"
Interview: Michel ‘Away’ Langevin of VOIVOD talks Oz Tour and more! We had the chance to catch up with Michel ‘Away’ Langevin, drummer and founding member of Canadian heavy metal band Voivod. We chatted about their new album ‘The Wake’, the story of the character behind Voivod, and their upcoming Australian tour in late January 2019. SR. Your new album ‘The Wake’ came out in September, how has that been received so far? It’s been amazing, the reviews are excellent, and it’s doing really well. We’re really relieved that it’s been so well-received, because it’s such an intricate album, we weren’t too sure how it would do. Now we know we can go down that path, and people won’t hate it. SR. Do you have a favourite track from the album? Oh, that’s tricky. I think ‘Orb Confusion’. It’s a bit punkier, I like the vibe of it. It’s a fun song. I haven’t played it live yet, we’ve played the three singles, but I’m looking forward to when we play that live, I think it’ll be a lot of fun. SR. Do you think you’ll be playing that one when you come over to Australia? I doubt it, unfortunately. We will play the three singles, but we’ll also be playing a bunch of our old stuff. Everything from our first album to our latest. SR. Did you do anything different on this album, compared to your previous releases? Yeah. We worked a lot on it for about three years, fine tuning every little detail. It had been a while since we’d been able to do that on a record. It’s a combination of Chewy writing a lot of material, and us doing improvisation, which we recorded. We went through all of the different parts, and Chewy re-arranged them. We found a way to record demo’s on the road, which was super helpful. We recorded it straight onto Rocky’s laptop, either backstage or on the bus, so that allowed us to create a very complete album. Now that we’ve found the perfect writing formula, we intend to work on more music, and release it faster than this record. We do so many shows every year, we had to find a way to write on the road so we could get it done. Between tours we gathered at studios and jam spaces and morphed our ideas into Voivod material. SR. Are you looking forward to coming to Australia? Yeah, we’re thrilled! The last time we were there was in 2000, so it’s been a long time. We can’t wait, we’ve been wanting to go back, and we’ve finally found an opportunity to get back there! The goal is to go back more often too. SR. Do you have any fond memories from the last time you were here? Yeah, we had a wonderful time. We spent a lot of time driving around, so we were able to absorb all of the scenery. The festival we played in Canberra was really awesome, it was packed. One of the people who drove us around was the singer of King Parrot, who we ended up touring with after that. It’s a shame we haven’t been able to get back since then, but we’re really excited, and we’ll try to make it back more often. SR. You guys have played a few covers over the years, do you have any new covers under your belt to surprise us with? No, the last song that we covered was ‘Silver Machine’ by Hawkwind, because when we were recording at the time, there was a lot of news about shows being cancelled by Motorhead on their 40th anniversary tour. We thought it was a good time to pay tribute to Lemmy, so we winged it. We played that one live until early this year, but I’m not sure if we’ll be playing that one in Australia. We’ll have to see what happens. SR. What does the name ‘Voivod’ mean, and where did it come from? When I was younger, I wanted to be a comic book artist, and I created a character called ‘Voivod’ and a planet that he lived on. I picked the name from the book Dracula by Bram Stoker, where they explained that Dracula gave himself the title of Voivod, which means ‘Prince’ in Transylvanian. I liked the name, and I turned my character into a sort of nuclear vampire. Through the eighties, the songs were about the story of this character, that’s where it came from. SR. If you could collaborate with any artist, dead or alive, who would it be? I’d have to say the singer from Van der Graaf Generator, Peter Hammill. I would love to work with him, he’s a hero of mine. SR. Where is your favourite place to tour around the world? I must say, it’s been wonderful everywhere we’ve played so far. We always have a blast in Europe, people follow us around, and we’ve been there so many times and made so many friends. Lately, we’ve start going to South America, and we have quite a following over there. Soon we’ll be going to Japan and Australia, which is really exciting, and we hope to go to New Zealand soon. There are new territories opening up to metal, we’d love to head to East Asia sometime next year. Before that, we’re touring in Europe, North America, and South America next year to promote The Wake. We love going everywhere, this world is so amazing and diverse. SR. Is there any reason you won’t be visiting South Australia on this tour? At this point, it’s really up to the promoters and the booking agency. We would really like to work something out so we can come back really soon and visit all of the states in Australia. Check out Voivod‘s new album ‘The Wake’, available now to stream on Spotify or purchase on iTunes. You can see them in Australia on their upcoming 35th anniversary tour from the 23rd-26th of January 2019. 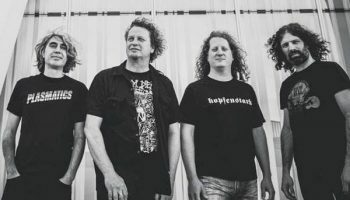 Keep up to date with what Voivod are up to by following them on social media or via their website.